As natives to the Northwest we have always had faces and names connected to the great spiritual need of this region. Many of these are our neighbors, family, and friends. Early in ministry the Lord planted a passion and desire within our heart to see missional, reproducing churches come to life in the Northwest. Yet, it was not until spending a season of ministry under the leadership of Pastor Bill Curtis and the leadership at Cornerstone Baptist church that we felt equipped to take on the challenge of reaching this unreached region. On any given Sunday only 4% of the 4.5 million residents of the greater Seattle community will find themselves in an evangelical church. The Pacific Northwest is home to business giants like: Amazon, Starbucks, Microsoft, Boeing, and Costco, influencing not only the Northwest but reaching into International communities. To reach this city with the Gospel is a God-sized task. We believe in the power of the Gospel and are convinced that God has chosen to work through the local church. It is for these reasons we are planting our church in Seattle, praying that God would allow us to be a part of reaching this region with the Gospel, leveraging Seattle’s national and international influence for His Kingdom and His glory. I recently heard a church planter describe church planting as, “A roller coaster swaying from thrills to fears moment by moment.” We are giving thanks that in the recent weeks we have been in the “thrills” portion of the sway. There are three clear areas we have seen the Lord work in recent weeks. First, we have had four families commit to being a part of our core team in the past month. Each of these families are extremely gifted and will be tremendous partners in our missional efforts. We are humbled to be leading such an incredibly talented and gifted core team. This commitment from these families will allow us to have a wide and broad reach from some of our first days in Seattle. Second, we have been so blessed to have some incredible church partners step forward. We have an incredible sending church and have three key churches in the Seattle area that will help us as we get acclimated to ministry and life once we land this summer. Lastly, the Lord has planted Tiffany in a Special Education position at a school just minutes from where we will be planting our church. Her principal is a Christian and thrilled that we are planting a church. He also opened the door for our four children to be able to attend her school. We believe the value of this job and these connections will yield abundant fruit. We believe that there is abundance in the life that is found in Christ. 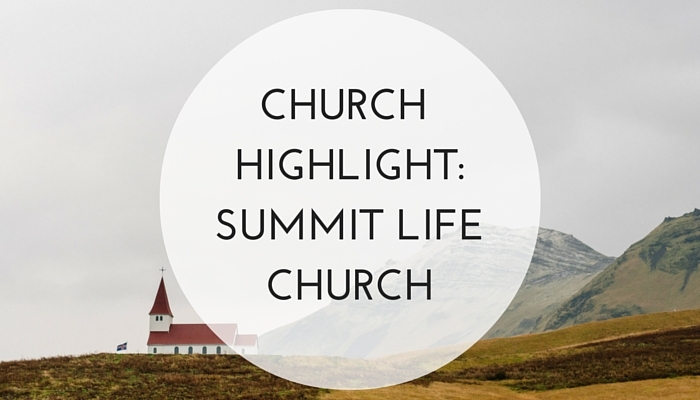 It is our prayer and mission to be a church that makes and mobilizes disciples for LIFE. We have defined LIFE as: Loving God passionately, Investing in others selflessly, Fulling your calling uniquely, and Embracing God’s mission completely. Every ministry, prayer, outreach, and service will be centered around our mission to make and mobilize disciples. As we all know LIFE itself is reproductive in nature and the same is true for the disciple who has been mobilized for LIFE. The second mission and prayer that we have is that as disciples are mobilized for LIFE that we would see more individuals, families, and communities reached with the Gospel that extends LIFE to those who would believe in the completed work of Christ. “Trust in the LORD with all your heart and lean not on your own understanding; in all your ways acknowledge Him and He will make your paths straight” (Proverbs 3:5-6). As old as this truth is and no matter how many times I hear it; it still rings true. Yet, this does not mean my heart and mind are free from conflict. The constant war that is waged in the heart and mind of a church planter is to trust in his own strategies, plans, and understanding. While wisdom and stewardship rightfully compels the church planter to strategize, plan, and contextualize ministry, ultimately it is not the church planter who will add to the church. The first Pentecost following the resurrection of our Christ reminds us that it is God who adds to the church. God did a mighty work through the message of Peter. But make no mistake it was God’s work that led to the increase. Luke records, “And the Lord added to their number daily those who were being saved” (Acts 2:48). It is a mistake for me and for any other church planter to think that it is our work that adds to the church. If not corrected this can lead to an ego-centric ministry. Rather it is the Lord, who in His gracious work through us, adds to His church, leading to a Theo-centric ministry. It is in Him that I place my trust and under His gracious provision that I labor. "Outside of the cross of Jesus Christ, there is no hope in this world. That cross and resurrection at the core of the Gospel is the only hope for humanity. Wherever you go, ask God for wisdom on how to get that Gospel in, even the toughest situations of life." You do not have to go plant a church to engage the mission. The mission is all around us, everyday. [quote]You do not have to go plant a church to engage the mission. The mission is all around us, everyday. [/quote] Consider your spheres of influence; your job, your neighbors, your hobbies. Find a way to get the Gospel into those places and do it! Please pray for the families who are relocating to join our Core Team to find jobs. Please pray that God would give us boldness and favor as we seek to share the Gospel in the places we live, work, and play. Please pray for favor as we spend the next few months building relationships with key individuals within the greater Seattle community reaching our financial goals.